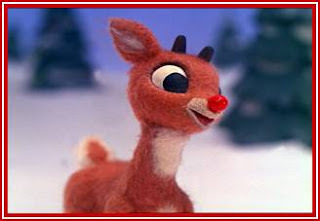 A Day Late and A Dollar Short: Rudolph the Red-Nosed Reindeer - Center for Puppetry Arts! Rudolph the Red-Nosed Reindeer - Center for Puppetry Arts! After a sensational and fully sold-out first run at the Center for Puppetry Arts, Rudolph the Red-Nosed Reindeer™ is soaring back into town to once again charm Atlanta audiences this holiday season. Adapted and directed by the Center’s Artistic Director, Jon Ludwig, the production is based on the beloved 1964 stop-motion animated special and provides the audience with the opportunity to experience the timeless tale of Rudolph and his misfit friends live on stage. Opening on November 3, Ludwig’s faithful adaptation includes all of the beloved characters such as Hermey, the elf who is an aspiring dentist, Yukon Cornelius, and the Abominable Snow Monster. The Center is honored to again work with Character Arts LLC to bring back the licensed puppet stage production of this yuletide classic. Thursday – Friday: 10:00 a.m. and 11:30 a.m.
Saturday: 11:00 a.m., 1:00 p.m., and 3:00 p.m.